Peacefully at the Palliative Care Unit of the Prince Edward Home on Saturday, June 5, 2010 of Mr. William. H. "Bill" Acorn (last surviving member of the Acorn family) of Charlottetown, in his 80th year. Beloved husband of Mary (nee Gallant) Acorn and dear father of Wylie (Sandra), Bob (Darlene) and Lolie (Richard) Oastler. He is also survived by six loving grandchildren Wayde, Justin, Erin, Emily, David and Sydney, two great-grandchildren Colton and Dawson, sister-in-law Betty Acorn and his brother-in-law Gerald Doyle. He was predeceased by his parents Edgar and Lena (nee Sheperd) Acorn and his eldest son Billy. Resting at the Cutcliffe Funeral Home until 9:45 Wednesday morning then transferred to St. Pius X Church for funeral mass at 10 a.m. Interment to take place later in the family plot in the Roman Catholic Cemetery, Charlottetown. Visiting hours will be held at the funeral home on Tuesday 2 - 4 and 7 - 9 p.m. Branch #1 of the Royal Canadian Legion will hold a legion service at the funeral home on Tuesday at 6:45 p.m. Family flowers only. Memorial contributions may in Bill's memory may be made to the Palliative Care Unit of the Prince Edward Home, the Oncology Unit of the Queen Elizabeth Hospital or the Alzheimer Society of P.E.I. Online condolences may be made at www.islandowned.ca. 7 Tamarac Avenue, at 11 am. Interment later in York Cemetery. Visitation on Wednesday 2-4 & 7-9 pm. Branch No. 1 of the Royal Canadian Legion will hold a service of remembrance from the funeral home on Wednesday at 6:30 p.m. Family flowers only. Memorial donations may be made to Presbyterians Sharing (www.gifttool.com/donations/Donate?ID=2034&AID=2428). At the Queen Elizabeth Hospital on Thursday, May 21, 2009, of Laurence ( Larry ) Anderson, Veteran of World War 11, of Stratford, and formerly of Manchester, England, age 83 yrs. Beloved husband of the late Christie ( Chris ) Anderson ( nee Todd ) and loving father of Ian Anderson ( Cynthia ) of Halifax. He was predeceased by his wife - Chris Anderson ( nee Todd ) and his sons - Anthony ( Tony ) and David Anderson. Resting at Hillsboro Funeral Home, 2 Hollis Ave., Stratford. No visitation by personal request. Funeral service will be held on Sunday, May 24, at Stratford Chapel - Hillsboro Funeral Home at 2:00 P.M.
Interment will take place later at Floral Hills Memorial Gardens. As an expression of sympathy, memorial donations to The Royal Astronomical Society of Canada would be appreciated. Completion of funeral arrangements have been entrusted to Hillsboro Funeral Fome, Stratford. Royal Canadian Legion Branch #1 Charlottetown will conduct a Veteran's Tribute Service at the funeral home at 1:45PM on Sunday 24 May 2009. On line condolonces may be made to hillsborofuneral@eastlink.ca. 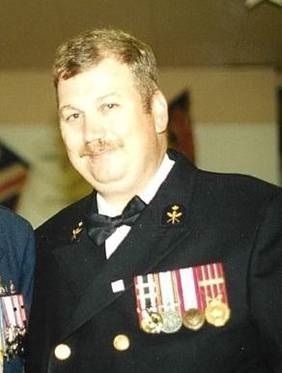 The death occurred suddenly at the Queen Elizabeth Hospital on Wednesday, October 15, 2008 of Alton James “Dee” Arsenault of Charlottetown, aged 68 years. Beloved husband of Dorothy Mae Arsenault [nee Smith]. Dear father of Tracey [Mark] MacLeod, Marcel Arsenault, and Joe [Alexandra] Arsenault. Dee is also fondly remembered by his brothers and sister, Alfred [Etta], Barbara [Leith], Reg, and Jackie [Mary Jane]. Dee was predeceased by his son Marty Wayne, parents Jack and Annie [nee Murphy] Arsenault, and brothers Leonard, Joey, and Kenny. Resting at the Hennessey Funeral Home until 9:45 on Saturday morning, then transferred to St. Dunstan’s Basilica for funeral mass at 10 a.m. Interment to follow in the family plot at the Roman Catholic Cemetery, Charlottetown. Flowers gratefully declined. If so desired memorials in Dee’s memory may be made to the Heart & Stroke Foundation of PEI, Canadian Diabetes Association, or the PEI Lung Association. Visiting hours at the funeral home Friday 3 to 5 and 7 to 9 p.m.
Royal Canadian Legion Branch #1 Charlottetown will conduct a Legion Member's Tribute Service at the funeral home at 6:45PM on Friday 17 October 2008. The death occurred suddenly, at his late residence, on Tuesday, July 17, 2012, of Raymond “Ray” Arsenault, of Charlottetown and formerly of Borden-Carleton, aged 63 years. Ray served with the Core of Commissionaires at the Charlottetown Airport. Born in Summerside, he was the son of Lorraine (Richard) Arsenault, Borden-Carleton, and the late Melvin Arsenault. Survived by his best friend and companion Norma (Yeo) Malone; daughters Lisa Arsenault, Summerside; Raelene (Mark) Richard, Summerside; grandchildren Tyler and Mackenzie Arsenault, Porter and Ruby Richard; brothers, Leroy Arsenault, Garth (Kelly) Arsenault, John Mark (Joy) Arsenault, Roger (Christine) Arsenault; sister, Gail Arsenault; sister-in-law, Grace Arsenault; and by numerous nieces and nephews. Predeceased by his brother Robert Arsenault. Resting at the Moase Funeral Home, Summerside, until Saturday, then to St. Peter’s Church, Seven Mile Bay, for funeral mass at 11 a.m. Interment in St. Peter’s Cemetery, Seven Mile Bay. Visiting hours Friday, from 2-4 and 7-9 p.m. Memorial donations to the Autism Society of P.E.I. would be appreciated. Members of the Summerside Branch of the Royal Canadian Legion, together with members of the Borden-Carleton branch of the Royal Canadian Legion, will hold a service of remembrance at the funeral home Friday at 6:45 p.m.
At the Queen Elizabeth Hospital on Friday, May 1, 2015 of Edison Irving Auld of Charlottetown, age 93 years. Husband of Mary (McLellan). Father of Heather McCulloch (David), George (Neila) and Errol (Betty). Step-father of Cathy Stewart (George), David MacIntyre (Joy) and Anne MacLean (Roger). Lovingly remembered by his 16 grandchildren and by one great-granddaughter. Brother of Phyllis MacLean and Athol (Betty). Predeceased by his first wife, Doris (Rackham); his parents, Ira and Elmira (Nunn) Auld; his sister, Joyce MacLeod (Emmerson); and by his brother-in-law, Daniel MacLean. Resting at Belvedere Funeral Home for visitation Wednesday 2-4 and 7-9 p.m. Funeral Thursday from Winsloe United Church at 10 a.m. Interment later in Winsloe South Cemetery. Memorial donations may be made to Winsloe United Church or Winsloe South Cemetery. Charlottetown Branch #1 of the Royal Canadian Legion will hold a service of remembrance at the funeral home on Wednesday evening at 6:45 p.m.
Peacefully, surrounded by family, at the Queen Elizabeth Hospital on Wednesday, December 15, 2010 of Major James Emmett Ayers (Veteran of World War II, Korean War, and U.N. Peacekeeping) of Charlottetown, age 85 years. Beloved husband of Anita Hennessey-Ayers (nee Miller), and the late Eileen Ayers (nee Walsh). Dear father of David (Iris) Ayers, Leonard (Barb) Ayers, and Anne Gallant. He will be lovingly remembered by seven grandchildren Sam Ayers, Zac and Jesse Ayers, Matthew, Laura, Timmy and Kirk Gallant, step-children Bonnie (Bob) Brammer, Monty (Kim) Hennessey, Dr. Rob (Florence) Hennessey, Tim (Cindy) Hennessey, Mike (Estelle) Hennessey, and twelve step-grandchildren. He was predeceased by his parents Charles and Isabel (nee Goodwin) Ayers, sons Wayne and Charles Ayers, brothers Bert, Pat and Fr. Leonard Ayers, sisters Elwin MacDonald and Pearl MacLellan. Resting at the Hennessey Funeral Home until 9:45 Saturday morning, then to the Church of the Most Holy Redeemer for funeral mass at 10 a.m. Interment to follow in the family plot at The Roman Catholic Cemetery. Visiting hours on Friday from 2 - 4 and 7 - 9 p.m. If so desired, memorial contributions may be made to Canadian Cancer Society or Catholic Family Services Bureau. Members of the Knights of Columbus will hold a prayer service at the funeral home on Friday at 9 p.m.
Royal Canadian Legion Branch #1 Charlottetown will conduct a Veteran's Tribute Service at the Hennessey Funeral Home at 6:45PM on Friday, 17 December 2010. At the PEI Atlantic Baptist Home on Thursday January 28, 2010 of W. Gordon Bears of Charlottetown aged 84 years. Beloved husband of Dorothy Bears (nee Drake) and dear father of Michael (Pat), Patsy Lane (Lyle) and Barbara Carter (Wayne). Lovingly remembered by his grandchildren Robbie and Carolyn Bears, Shauna and Heather Bears, Aaron Lane and Sarah Moir (Dan) and Ashley and Alyson Carter. Great-grandfather of Korben and Wyatt Moir. Predeceased by his parents Walter M. And Hilda (MacDonald) Bears. Resting at Belvedere Funeral Home from where the funeral service will be held in the funeral home chapel on Monday at 1PM. Interment in Sherwood Cemetery. Memorial donations may be made to The PEI Lung Association or the Canadian Diabetes Association (PEI Division). Visiting hours on Sunday 2-5 PM only. The Charlottetown Branch of the Royal Canadian Legion will hold a service of remembrance from the funeral home on Sunday at 5:15 pm. Family flowers only. Peacefully at the Garden Home on Thursday, December 5, 2013 of Mr. Jack Beaton, formerly of Rice Point, P.E.I. in his 92nd year. Veteran of World War 2 serving with the Royal Canadian Air Force from 1942-1945. Born in Moose Jaw Saskatchewan, he was the son of the late Samuel and Hazel Belle (Houston) Beaton and dear father of Linda (Alan) MacPhail of Cornwall, Jim (Heather) Beaton of Cornwall, John (Lena) Beaton of Stratford and Scott (Sandy) Beaton of Warren Grove.He is also lovingly remembered by his grandchildren, Brandon (Rachelle) MacPhail, Sara (Craig) Dykerman, Joshua, Amber and Spencer Beaton, Donya, Charles, John Kyle, and Denise Beaton, Laura Kimberly, Kathleen, Jennifer and Daniel Beaton. Former husband of the late Nellie Beaton of Cornwall. Jack is also survived by his sisters Alma Schultz and Hazel Stevenson and will be missed by his canine companion Suzie. He was predeceased by his granddaughter Jaimie-Lynn and sisters Helen Beasley, Eunice Searle and Evelyn Beaton. Jack’s family would like to say a special Thank-you to all the staff and residents of the Garden Home for the care and love given to him. Resting at the Hennessey Cutcliffe Charlottetown Funeral Home from where the funeral service will be held on Monday at 11:00 a.m. in the funeral home chapel. Interment will follow in HunterRiverUnitedChurchCemetery. Visiting hours will be held on Sunday from 7:00 to 9:00 p.m. Charlottetown Branch #1 of the Royal Canadian Legion will hold a Veteran's Tribute Service at the funeral home on Sunday at 6:45 p.m. If so desired memorial contributions may be made to the Parkinson’s Society or the P.E.I. Humane Society. On-line condolences may be made at www.islandowned.ca.